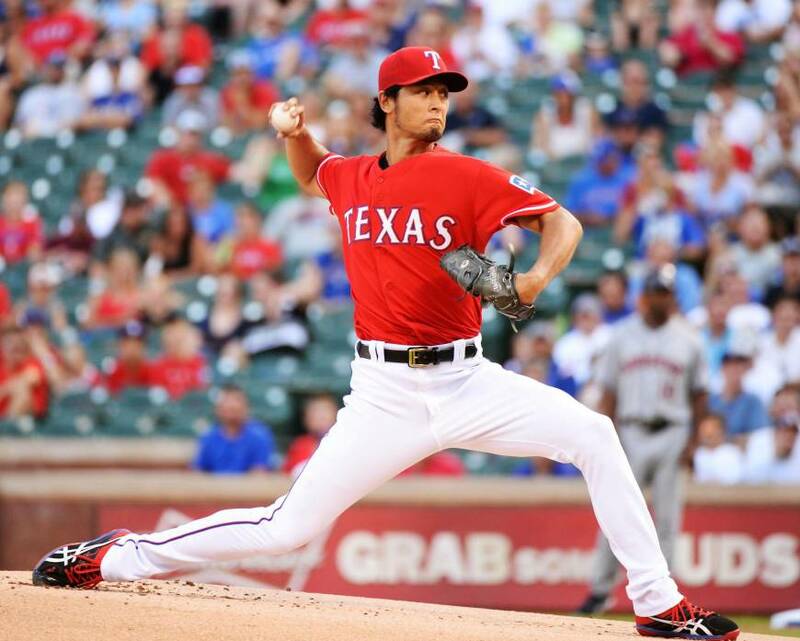 Texas Rangers star pitcher Yu Darvish is being investigated by Major League Baseball in the wake of his brother Sho being charged last year with running an illegal gambling ring that allegedly took bets on both MLB and NPB games, The Japan Times has learned. Yu Darvish has not been accused of any wrongdoing by the Osaka police at this point, but MLB has confirmed that it is conducting a probe to find out if there is any link between the ace and the reason for his younger brother’s arrest in October. “We are aware of this situation and are looking into it, per our standard protocols,” MLB’s vice president for communications Michael Teevan wrote in a recent email to The Japan Times. Sho Darvish’s arrest was announced by Osaka police on Oct. 27 after an investigation of more than one year. He was charged by the Osaka District Public Prosecutor’s Office in mid-November with gambling and running a betting ring. He is alleged to have accepted some 1,850 wagers valued at ¥10,000 each on pro games in both North America and Japan. It is still unclear whether or not any of the bets were taken on games involving the Rangers. The younger Darvish, who runs a business in Fujiidera, Osaka Prefecture, has been in trouble with the law before. He was given a one-year suspended prison sentence by the Osaka District Court in February 2012 for assaulting a female friend. 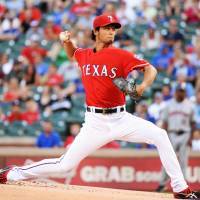 Yu Darvish missed the entire 2015 season after undergoing reconstructive surgery on his pitching arm. Though the 29-year-old right-hander would not have been able to influence the outcome of games on the field last season, the concern of MLB is likely that he was in a position to provide inside information on the Rangers and other teams via his clubhouse access. A comprehensive MLB investigation of Yu Darvish’s possible involvement in the scheme could include an interview with MLB security, contact with the NPB commissioner’s office, and the Osaka police. MLB could also hire a private investigator here in Japan to look into the matter. When Teevan was asked what specific steps MLB would take regarding the probe, he played it close to the vest. “Our efforts are ongoing, and as such I am not at liberty to go into what they entail,” Teevan wrote in an email to The Japan Times. After starring for the Hokkaido Nippon Ham Fighters for seven seasons, Yu Darvish joined the Texas Rangers in 2012 after going through the posting system. He has a 39-25 record with Texas in his three seasons on the mound. Best-selling author Robert Whiting, who penned both “You Gotta Have Wa” and “Tokyo Underworld,” feels it is not much of stretch to think that Sho Darvish, who was 26 at the time of his arrest, may have turned to his older brother for information. “Gambling on baseball in Japan exists, it always has existed, and always will,” says Whiting. “As for (Yu) Darvish, you would have to say it was likely that he provided information, unwittingly I would have to assume (unless of course he is looking to supplement his income, which the last time I looked was about half of Masahiro Tanaka’s),” added Whiting. What is most curious is that MLB claimed to be unaware of Sho Darvish’s arrest when first contacted by The Japan Times about the matter. This despite the fact that the arrest was reported prominently at the time by Japanese media outlets and on the websites of The Washington Post, Dallas Morning News, Yahoo and The Sporting News, among others.